Bill Daley became the first candidate to put up a broadcast television ad in the race for Chicago mayor on Thursday, unveiling a commercial in which he promised to implement a property tax freeze and make fighting crime his top priority. "Let's get real, Chicago," the 30-second spot begins. "Crime and taxes are up. While fancy buildings rise inside the Loop, families are being driven out of our neighborhoods every day." The ad is voiced by an unidentified male narrator - not Daley himself - and laid over glamour shots of the city, interspersed with static photos and videos of Daley talking to a diverse group of people portraying Chicagoans. It makes no mention of the fact that he belongs to one of Chicago's most famous political dynasties. His father Richard J. Daley was mayor for 21 years and his brother Richard M. Daley was the longest serving Chicago mayor before deciding in 2010 not to seek re-election. Bill Daley tells NBC 5's Alex Maragos about his background, his campaign for Chicago mayor and whether he thinks the city wants another Daley in office. "Bill will put a moratorium on tax hikes to keep families in their homes," the ad says. "He'll make getting guns and gangs off our streets priority number one." The ad began airing Thursday, Daley's campaign said. A Daley spokesman said the campaign plans to run it for "a few weeks," stopping before the holidays and returning to airwaves, likely with a different ad, in the new year. Daley's is the first ad on broadcast television from the 21 candidates in the mayoral race, though a spokesman for Dr. Willie Wilson's campaign said he began running commercials on cable television channels in June. Some, like Illinois Comptroller Susana Mendoza and attorney Jerry Joyce, have released video ads on digital platforms. For her part, Mendoza did air a television ad amid her campaign for re-election as comptroller in the November midterms. That ad, which ran before she announced her subsequent run for mayor, prominently featured Chicago imagery and the city's flag - heightening speculation that she would jump into the mayoral race. A little over a week after winning re-election, Mendoza did just that, announcing her campaign in an online-only video that also focused in part on taxes and crime. A major cash advantage helped Daley reach broadcast television airwaves first. He kicked off his campaign with a $500,000 contribution to himself and has raised a total of more than $2.7 million, according to data from the Illinois State Board of Elections. That figure is more than twice the bankroll of his next closest competitor, Gery Chico, who has raised just under $1.1 million. Chico - who served as chief of staff to Richard M. Daley when he was mayor - slammed the younger Daley's ad Thursday, calling him "so desperate that he is spewing erratic and cynical campaign ideas." "Daley is promising all Chicagoans an irresponsible property tax freeze that will hurt low-income and working families, locking in a tax structure which already benefits the wealthy and the owners of skyscrapers," Chico said in a statement. "We shouldn’t be freezing property taxes for everyone, we should be forcing the wealthiest and owners of skyscrapers to pay their fair share, while lowering taxes for low-income and citizens living paycheck to paycheck," Chico continued. Both candidates' campaign websites list relatively vague proposals on Chicago's finances, with Bill Daley vowing to "look at all options for more state revenue" and work with "all stakeholders to consider pension reforms," while Chico says he plans on "growing our tax base" as well as "seeking a greater share of revenue from the state of Illinois." 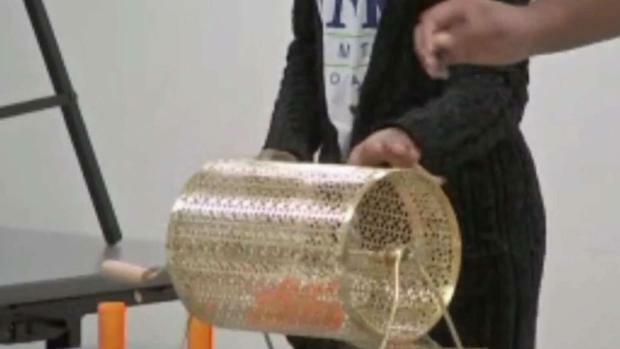 A new lottery has determined which mayoral candidates will appear in some of the most coveted positions on the ballot in February. NBC 5's Mary Ann Ahern reports. Bill Daley spent more than three years as commerce secretary under former President Bill Clinton, served as former President Barack Obama's chief of staff from 2011 to 2012, and briefly entered the Illinois gubernatorial race in 2013 before taking himself out of the running. He most recently worked in finance and was also the first person to officially declare his candidacy after Mayor Rahm Emanuel announced in September that he would not seek a third term. Twenty-one candidates filed petitions to run for mayor, with several - including Daley himself - facing challenges to the validity of their petitions, meaning the field is likely to whittle before the Feb. 26 election.